Cured ham or prosciutto is perhaps the best-known variety of traditional Italian cold cuts. This may be due to its full and unique flavor that is like no other cured meat, but also due to its ability to be enjoyed in various ways as well as on its own. Prosciutto is a dry-cured ham that has created a lot of passion and competition within Italy, with different regions using their traditional methods of production and ingredients to create their own versions of prosciutto which reflects the flavors of that particular place. 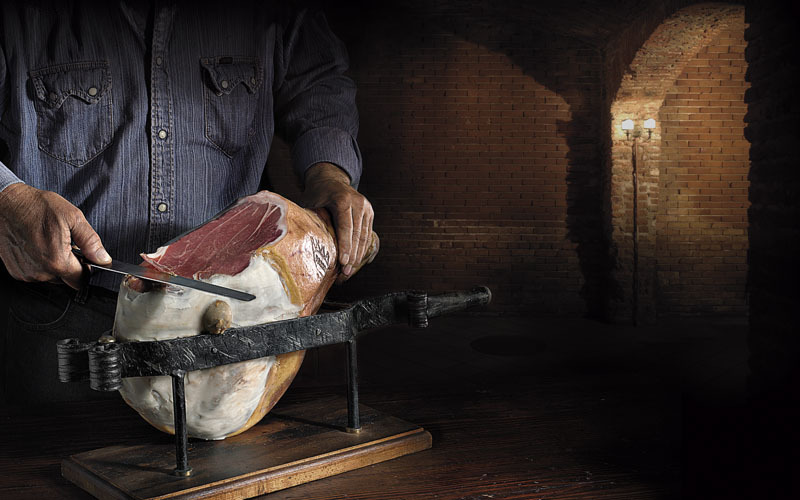 These methods have been passed down from generation to generation and are often protected by law: two of the most famous of these variations is the Prosciutto di Parma and Prosciutto San Daniele. As well as being one of the most famous specialties to come from Italy, prosciutto is also one of the oldest with records that prove that the cured meat dates all the way back to ancient Roman times with references coming from around Parma, a town in the Italian region of Emilia-Romagna. The overall preparation process is very simple and takes place in accordance with each region’s traditions. Salt is rubbed into a leg of pork, which is then set aside for a while before being washed in lukewarm water and left to mature naturally for a number of months. Our Veroni Prosciutto for example is made from the finest pork legs, which have to meet strict selection requirements regarding their size, shape, appearance and balance of fat and lean. 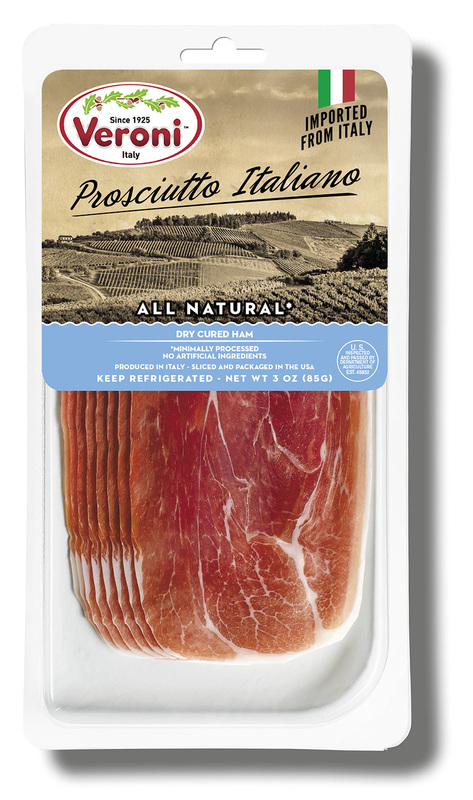 With our large range of prosciutto products, you can have your own authentic experience right at home by adding it to your next antipasto platter or indulging in the Italian specialty that combines prosciutto with fresh melon.